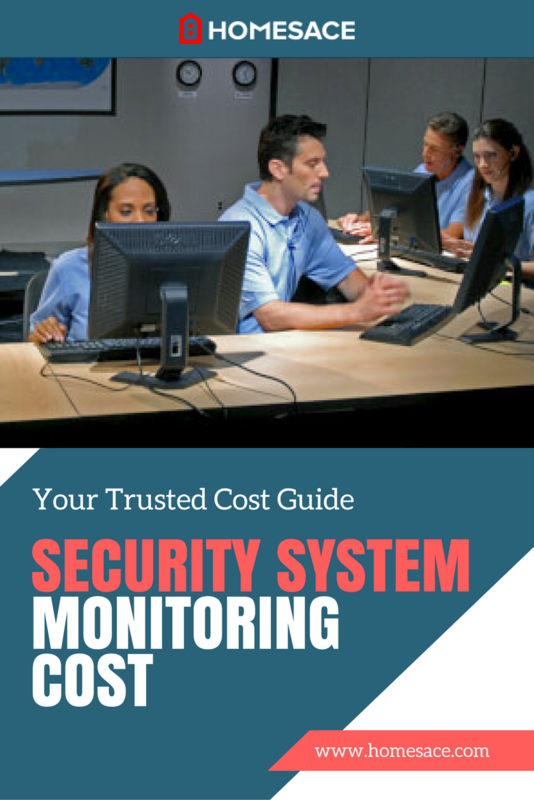 How Much Does Security System Monitoring Cost? You love your home for its ability to protect you from the elements and to keep you and your belongings safe from wrongdoers. Modern home security systems offer a range of services and at a variety of price points. Security system monitoring begins with the installation of your system. Your alarm company will install sensors on your entryway doors as well as windows, especially those on the first floor. Then, your sensors will be linked to one or more control panels mounted on walls in key locations throughout your home. The control panels provide the homeowner and other occupants of the home the ability to conveniently arm and disarm the system. The security system itself may have its own cost for installation or it may be bundled into your regular security system monitoring contract. These contracts can be paid monthly or yearly. Newer configurations will also allow you to access your security system monitoring information from a smartphone or computer, even when far away from your home. The cost to monitor a security system can vary a bit depending on how large your home is, how many doors and windows will be monitored and whether the system has a smartphone app included for remote monitoring. How Much Will It Cost To Monitor a Security System? You should expect to spend anywhere between $100 and $900 for security system monitoring, but the average cost is $300. Some companies will give you a discount if you pay the entire monitoring cost in one lump yearly sum while others will allow you to break down the cost into monthly installments for no extra cost. Besides costs, there are other important factors that are wise to consider before choosing one company over another. Is there a contract? Many companies will offer low-cost equipment installation, but will lock their customers into long-term contracts that come along with heavy penalties for choosing to break out early or switching to another company. What's the average response time? The whole reason you're entertaining the idea of installing an alarm is the fact that help will be on the way should anybody try to break into your home. It is useful to make the company commit to an approximate time frame in which their security system monitoring services are rendered. Is the service childproof? You might be looking for security system monitoring to protect your family and the last thing you'd want is for your children to accidentally activate the system through their curiosity. In some cases, entering wrong codes on the keypads can inadvertently cause the panel to be locked out or deactivated. All it takes is news of a local break-in to start to cause you to seriously question whether it makes sense to protect your home with a security system. Truthfully, security system monitoring is a wise choice for most homeowners, even those who live in great neighborhoods. You'll also want to consult with your insurance company to find out if they offer discounts for securing your home. The first step is a conversation with professionals in your area to get an idea of what security system monitoring will cost. Local security system providers are ready and available to provide you with no cost, zero-obligation estimates for their services. Simply enter your home zip code and you'll be contacted to receive your 100% FREE, no-obligation estimate on the cost to monitor your security system from a company in your area. This offer has absolutely no hidden costs and you do not have to make any purchases. Simply enter your zip today and wait for the call.